Norwegian painter and printmaker whose intense, evocative treatment of psychological and emotional themes was a major influence on the development of German Expressionism in the early 20th century. 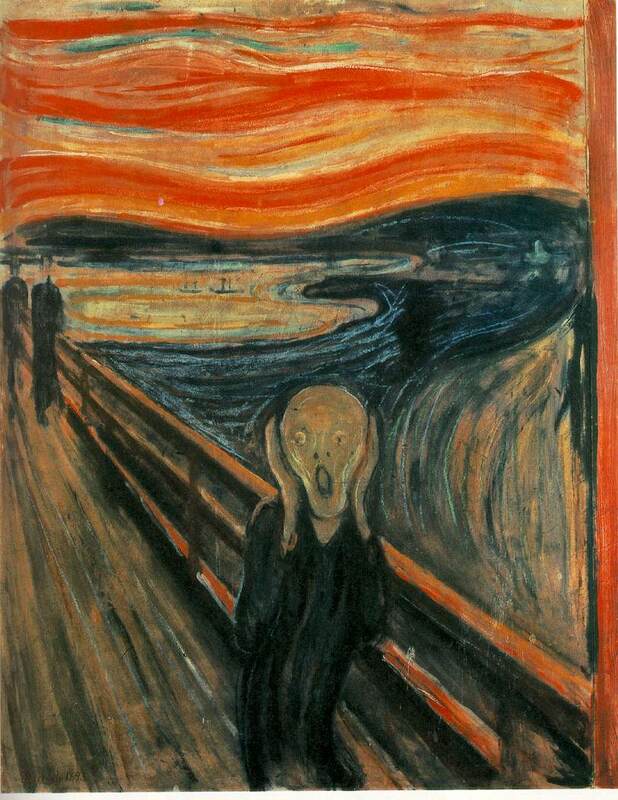 His painting The Cry (1893) is regarded as an icon of existential anguish. Note: The Edvard Munch article in Britannica Online is made available to the general public for a limited time, courtesy of Encyclopeadia Britannica, Inc. Thanks to Carol Gerten-Jackson's help in this section. Munch, Edvard (1863-1944). A gifted Norwegian painter and printmaker, Edvard Munch not only was his country's greatest artist, but also played a vital role in the development of German expressionism. His work often included the symbolic portrayal of such themes as misery, sickness, and death. The Cry , probably his most familiar painting, is typical in its anguished expression of isolation and fear. 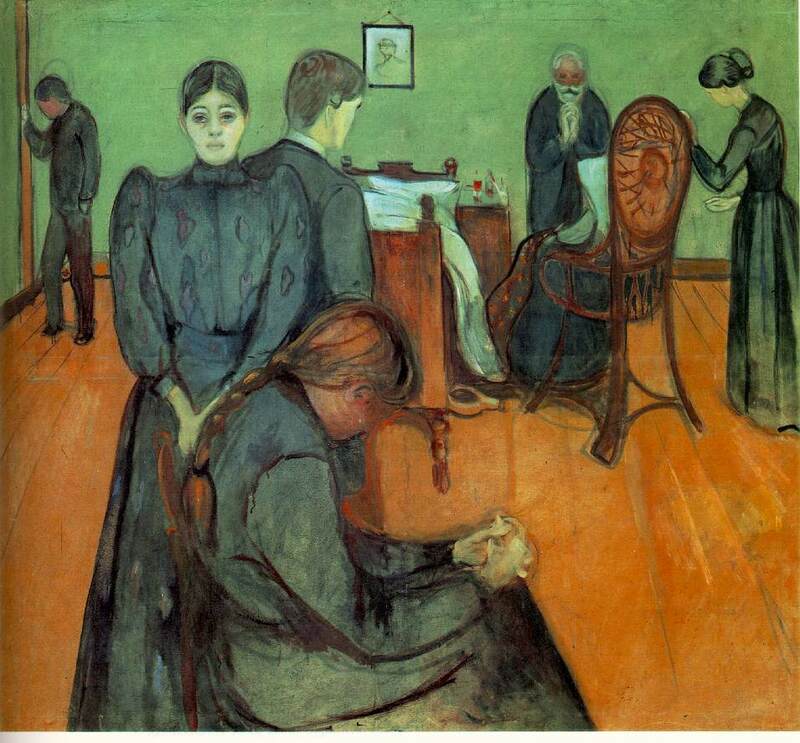 Munch was born on Dec. 12, 1863, in Loten, Norway. He grew up in Christiania (now Oslo) and studied art under Christian Krohg, a Norwegian naturalistic painter. 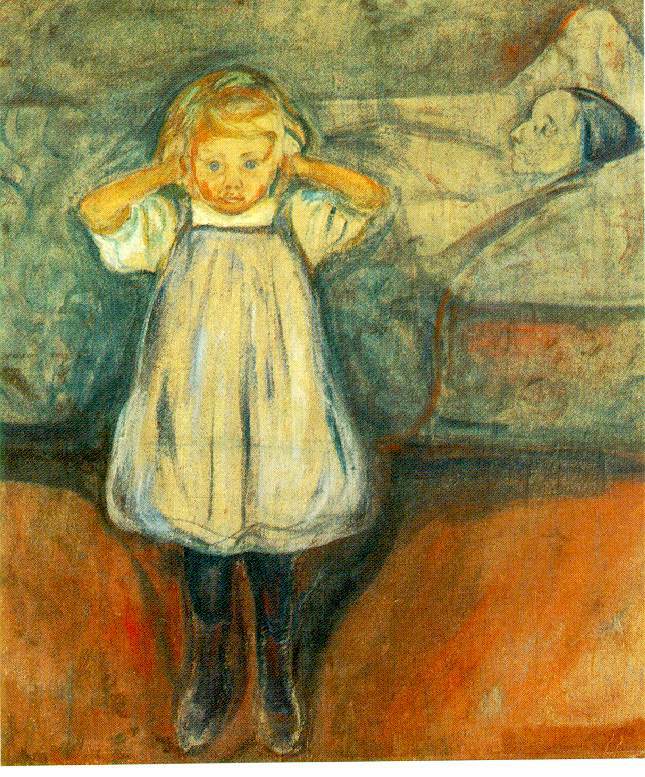 Munch's parents, a brother, and a sister died while he was still young, which probably explains the bleakness and pessimism of much of his work. Paintings such as The Sick Child (1886), Vampire (1893-94), and Ashes (1894) show his preoccupation with the darker aspects of life. Munch traveled to Paris in 1885, and his work began to show the influence of French painters--first, the impressionists, and then the postimpressionists--as well as art nouveau design. Like many young artists Munch reacted against conventional behavior, and in 1892 he took part in a controversial exhibit in Berlin. His circle of friends included several writers, one of whom was the Norwegian playwright Henrik Ibsen. Munch designed the sets for several of Ibsen's plays. Between 1892 and 1908, Munch spent much of his time in Paris and Berlin, where he became known for his prints--etchings, lithographs, and woodcuts. 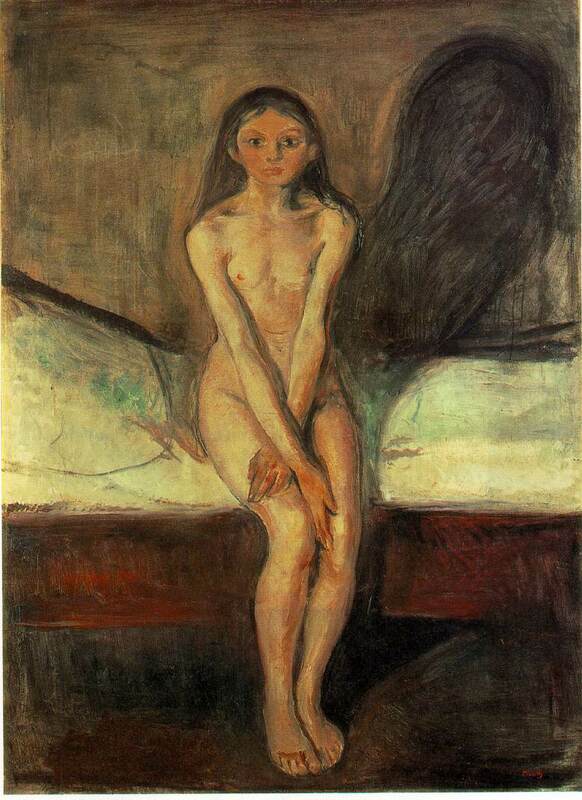 After 1910 Munch returned to Norway, where he lived and painted until his death. In his later paintings Munch showed more interest in nature, and his work became more colorful and less pessimistic. Munch died in Ekely, near Oslo, on Jan. 23, 1944. He left many of his works to the city of Oslo, which built a museum in his honor.